The Litigation attorneys of Pickrel, Schaeffer and Ebeling are prepared, know the law and will aggressively protect your rights. To Litigate is to take legal action when two or more parties cannot amicably agree. At Pickrel, Schaeffer and Ebeling, we assist both individuals and businesses with taking and resolving legal action. At first we try to negotiate and mediate with all parties to find a solution, unfortunately as hard as we try to resolve an issue sometimes an agreement cannot be reached and going to court is inevitable. When disputes arise between individuals and businesses, and they cannot be resolved, you need an experienced agressive attorney. Our team will take the time to understand the details of each client’s unique situation and provide a creative strategy to resolve the issue. We will aggressively defend you and will persuasively advocate your position before administration agencies, judges, juries and arbitrators. Our Litigation team regularly assist clients involving Personal Injury and Family Law including divorce, dissolution and adoption. In addition, we work with Businesses not only to draft contracts but also resolve contract disputes, real estate issues and construction claims. 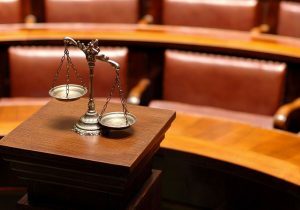 Even though you will be working with an individual attorney at Pickrel, Schaeffer and Ebeling that focuses specifically in Litigation, we work together as a team to give you the combined strength of over twenty attorneys.